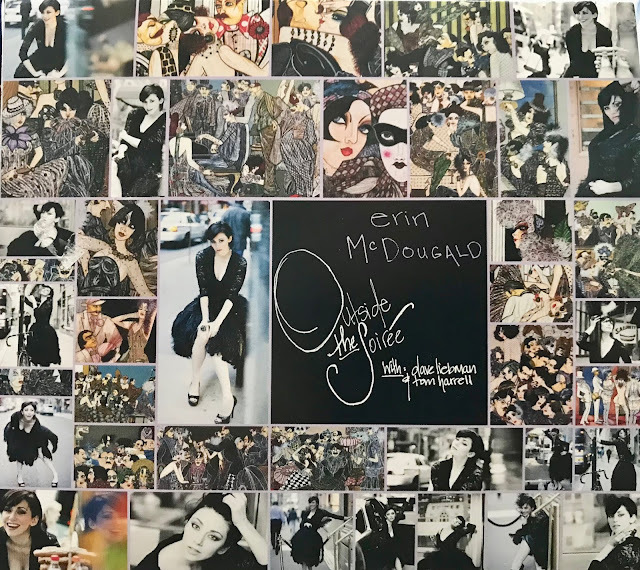 Music Man Blog: CD Review: Erin McDougald's "Outside the Soiree"
Superb Jazz Vocalist, Erin McDougal released her fourth studio recording, "Outside the Soiree" on March 16, 2018. The information that was sent to me along with the CD stated "Erin McDougald's latest album exemplifies the concept of thinking - and singing - outside the box". I couldn't agree more with this statement! Erin had her hand in most everything connected with this CD. She contributed to all of the arrangements, except for #3 and #12, selected a marvelous and, yet, an unusual group of songs for her playlist and picked a stellar band. I am sure you will recognize most of the songs in her playlist but the essence of this CD is the fresh, new approach to each one that Erin has chosen. 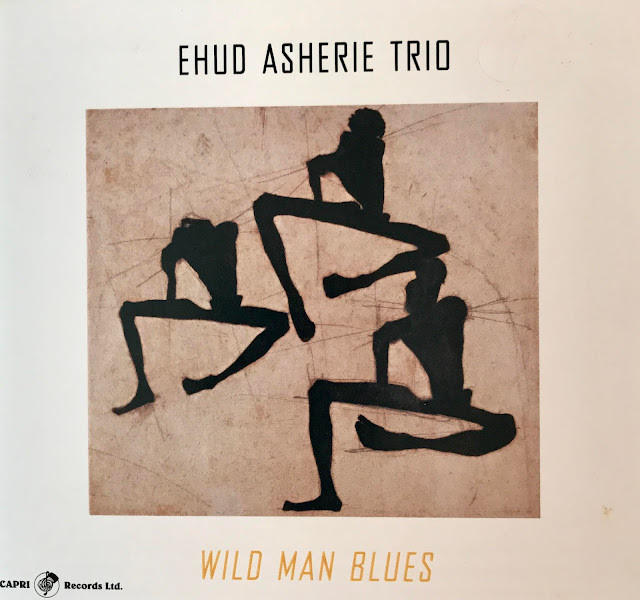 It seems to me that Erin brings some of the vocal history of each song to the forefront and mixed it with great arrangements and impeccable Jazz singing that makes this CD super good listening. I don't want to make light of the brilliance of taking an old song, keeping the original emotion of the original singers and then applying your own personal vocalized interpretations. Few Jazz singers ever master this talent but there is no doubt that Erin has accomplish this feat! Even though Erin's Vocals are new and fresh, every note and phrase she sings seem comfortable to the listener. Her voice is pure and strong and she can go where few singers can travel with ease. The band on this CD is as good as it ever gets for Vocalists. They are all seasoned pros, and they all give Erin the space she needs while filling the supporting background perfectly. The band features Guitarist and Pianist Rob Block, Bassist Cliff Schmitt, Drummer Rodney Green, Percussionists Mark Sherman and Chembo Corniel and Saxophonist Dan Block. In addition, Erin brought in two old friends, Saxophonist David Liebman and Trumpeter Tom Harrell. This is as good a group of Musicians that you will ever find! 1. "Don't Be On The Outside"
3. "Brother, Can You Spare A Dime"
4. "Man With The Horn"
7. "Don't Wait For Me"
8. "The Masquerade Is Over"
9. "Spring Can Really Hang You Up"
10. "When the World Was Young"
11. "Linger A While / Avalon"
I wanted to attach a "YouTube" of Erin singing one of the great songs from her album and it was a really tough job picking just one. I settled on one of my classic favorites, "Spring Can Really Hang You Up The Most". Erin sings this ballet in an up-tempo fashion that works great! Whether you are a professional Jazz singer or just a Jazz fan, Erin and her latest CD need to be on your "must-have" music list.